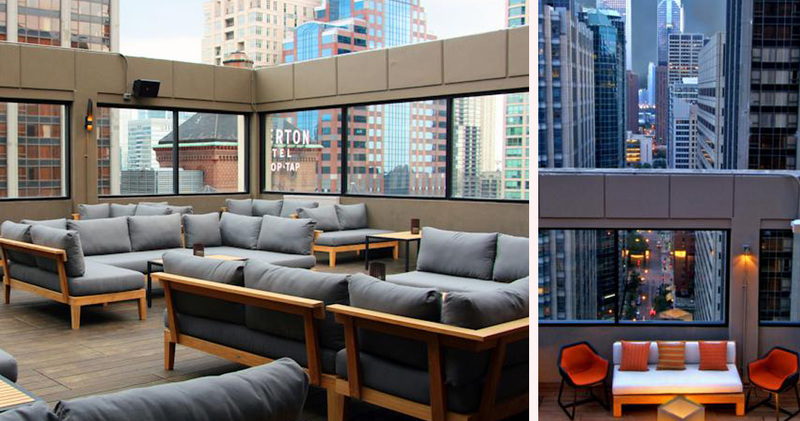 MileNorth Chicago is a sophisticated and chic hotel featuring eclectic decor, vibrant colors, and has an authentic cosmopolitan feel. 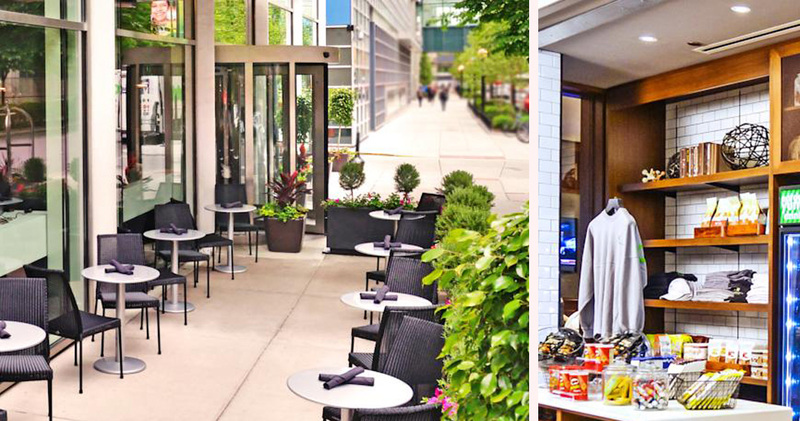 Located steps from the Magnificent Mile, MileNorth Chicago hotel combines true Chicago style hospitality with urban charm. 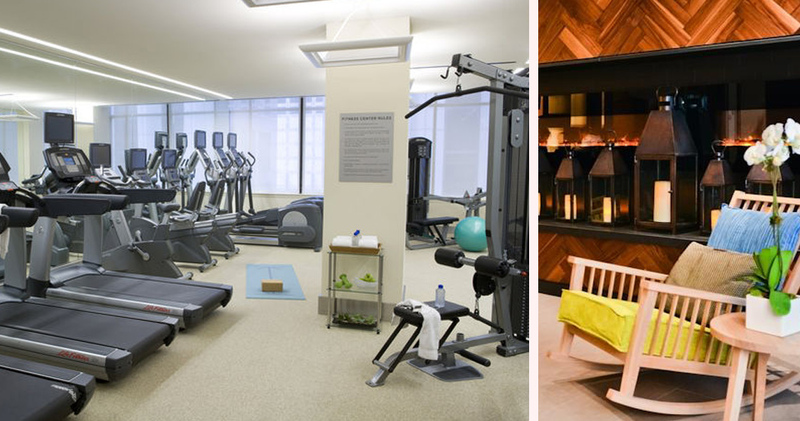 The hotel is located a quick walk away from the Navy Pier, Lake Michigan, and the Theater District. 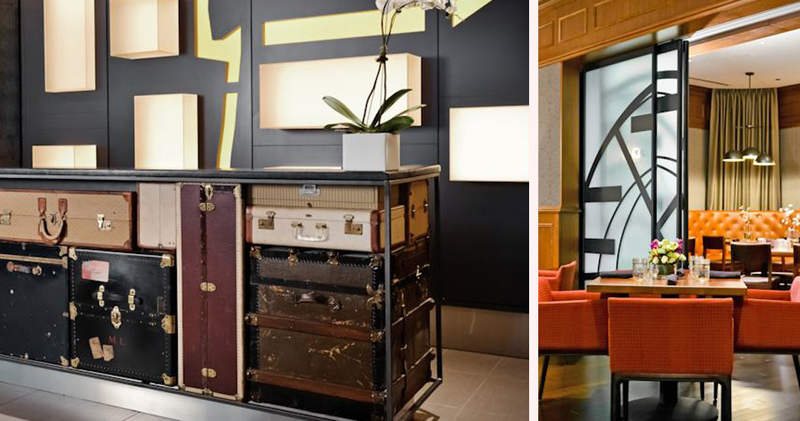 The lobby with its eclectic-vintage-suitcase display and pops of vibrant color sets the tone for an upscale experience. 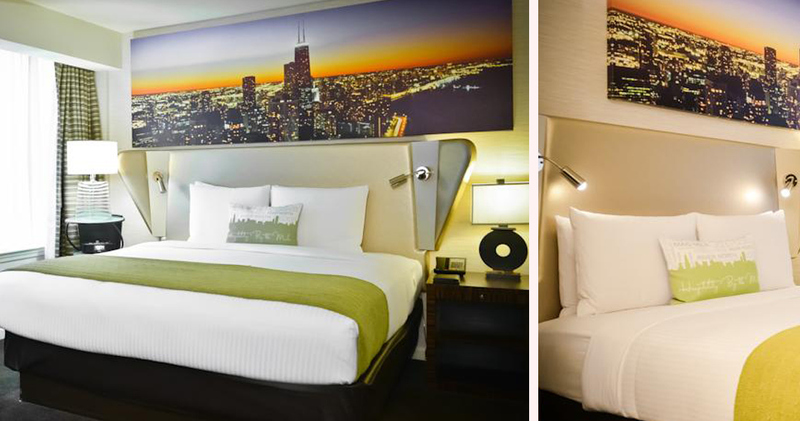 The Chicago MileNorth Hotel is pet-friendly, offers valet parking, and has attentive staff to cater to every guest’s needs. 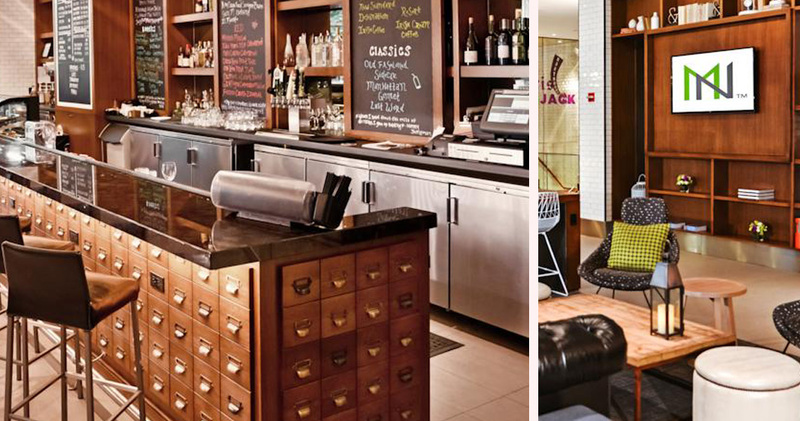 This upscale hotel has a very relaxed vibe with a lounge area in the lobby. 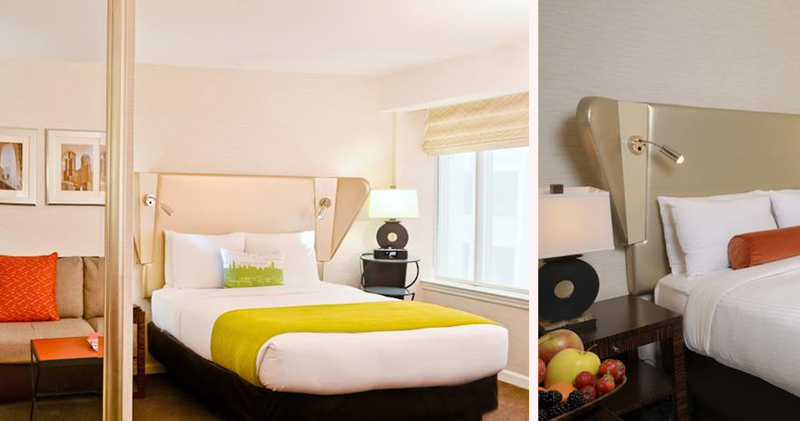 MileNorth Chicago has spacious guestrooms, studios, and suites that combine modern decor with elements of Art Deco, neoclassical, and classical deco. In neutral earth tones with pops of fun colors, crystal glass, and silver accents, each room features a workstation, ergonomic chair, 32″ flat screen TV, voicemail and data port. The large windows provide good natural light and a city view. 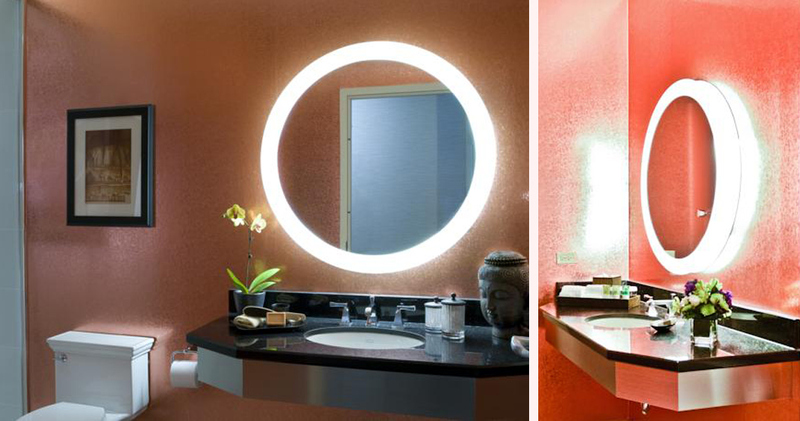 The bathrooms are spacious and equipped with a shower bench, roll-in showers and luxury bath products from Gilchrist & Soames. The Barista Bar is located in the lobby of MileNorth Chicago and offers guests a cozy atmosphere with its dark wood decor, bookshelves and vibrant colors. The Barista Bar offers Starbucks coffee, craft beer, cocktails, and casual fare like sandwiches, burgers and wraps. 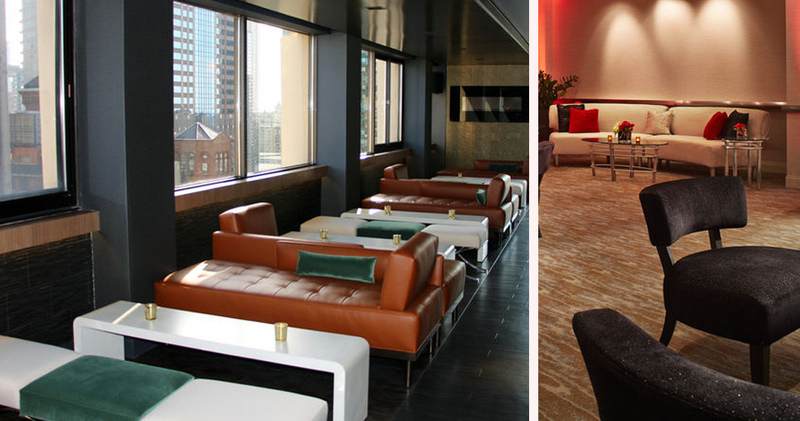 52eighty, a chic lounge, is located on the 29th floor; it hosts indoor and outdoor seating areas, a large selection of drinks, and stunning city views.